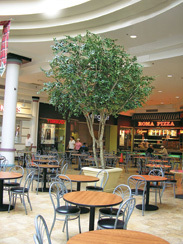 Our gorgeous "Shady Lady" Olive Trees are similar to our original Black Olive Trees but with a few differences. 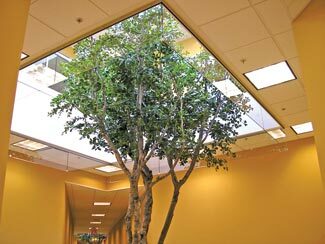 They have the same open airy look and layered branching, but at a more economical price. 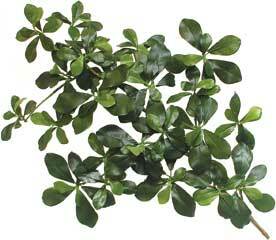 The leaves have a more rounded appearance, and the two-tone different-sized foliage simulates new growth. 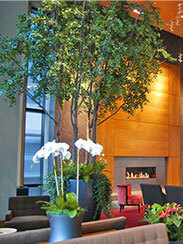 These trees are constructed on multiple maple trunks which allows for a wider spread. 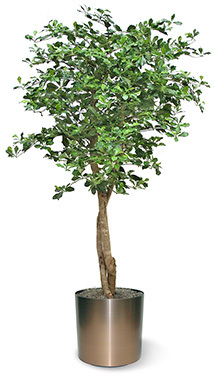 They are a unique and popular alternative to our standard Black Olive tree as well as the more traditional Ficus tree. 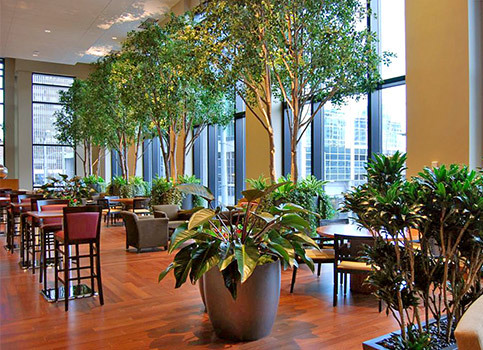 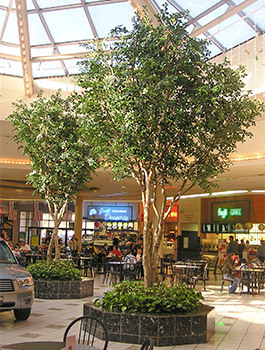 The elegant naturalness and intriguing branch structure of these trees make them a standout in lobbies, offices, hospitals, malls and other public spaces. 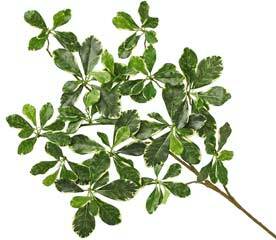 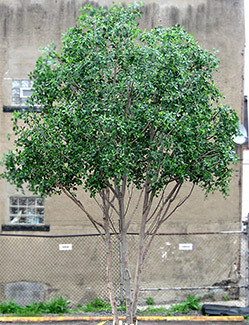 Our Shady Lady trees are available with either solid green 2-tone leaves or a variegated leaf. 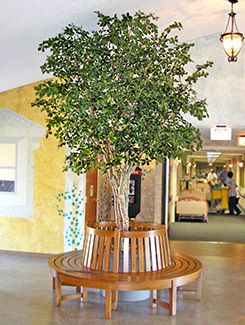 These trees are all custom manufactured to your specs by hand at our Pittsburgh manufacturing facility. 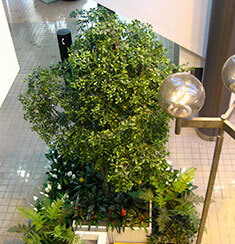 They are assembled and tested prior to delivery. 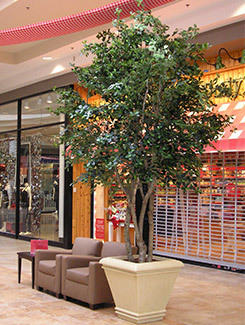 They are carefully labeled, taken apart and wrapped for shipping. 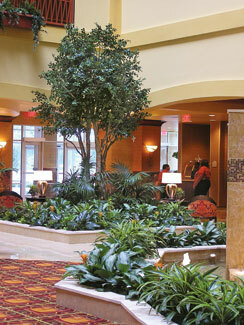 For more information call 1-888-SILKS-01 (1-888-745-5701) or E-MAIL US.